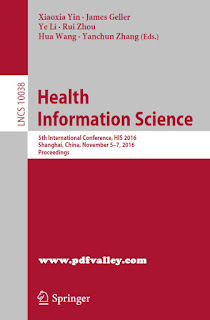 You can download Health Information Science 5th International Conference by Xiaoxia Yin , James Geller , Ye Li , Rui Zhou , Hua Wang & Yanchun Zhang free in pdf format. 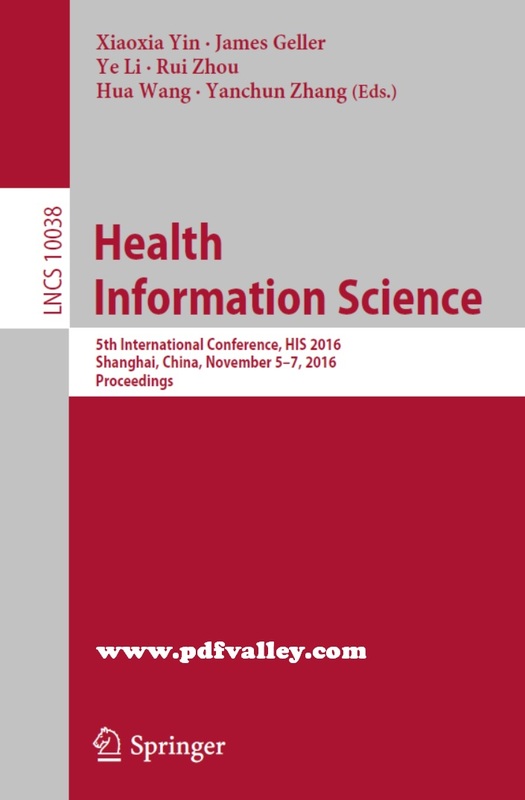 This book constitutes the refereed proceedings of the 5th International Conference on Health Information Science, HIS 2016, held in Shanghai, China, in November 2016. The 13 full papers and 9 short papers presented were carefully reviewed and selected from numerous submissions. The scope of the papers includes medical/health/biomedicine information resources such as patient medical records, devices and equipments, software and tools to capture, store, retrieve, process, analyze, and optimize the use of information in the health domain; data management, data mining, and knowledge discovery, all of which play a key role in decision making, management of public health, examination of standards, privacy and security issues; computer visualization and artificial intelligence for computer aided diagnosis; development of new architectures and applications for health information systems.